You activated the license key and see the notification that it is activated successfully, however you can't use the plugin and you're always redirecting to the license page. 2. AliDropship plugin is installed in a sub-folder (e.g. yourdomain.com/folder/wp-admin). Install your WordPress website in the root directory, public_html folder (e.g. yourdomain.com/wp-admin). 3. 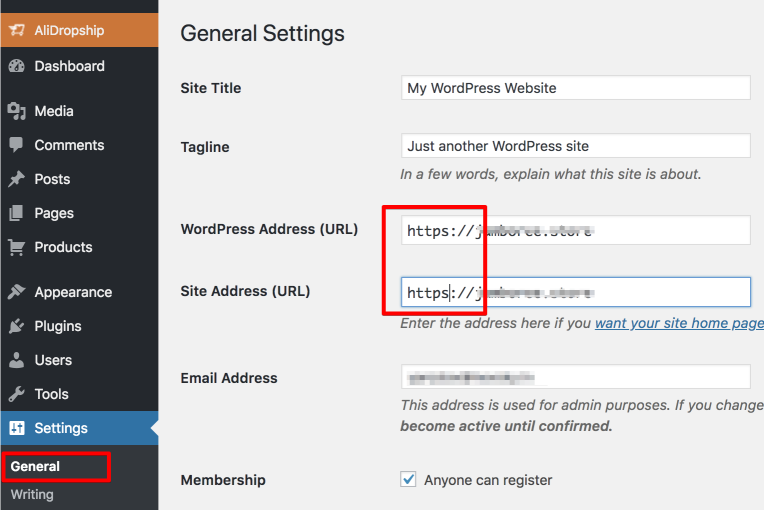 You installed SSL certificate but did not change WordPress Address URL and Site Address URL. You get 'Wrong site' error message after activation. Contact AliDropship Support and ask to reset your license.